If you’ve seen even a single frame of Gortimer Gibbon’s Life on Normal Street​, you know that our Production Designer, Kristan Andrews, is some kind of genius. She has imbued the show with a unique warmth and glow that flies in the face of every other loud, brash, obnoxious kid TV show out there. The heart and spirit of Normal Street is felt and reflected in Kristan’s every set, every design. I’ve been watching Kristan at work for two years, and I still find myself completely enraptured with each new episode. 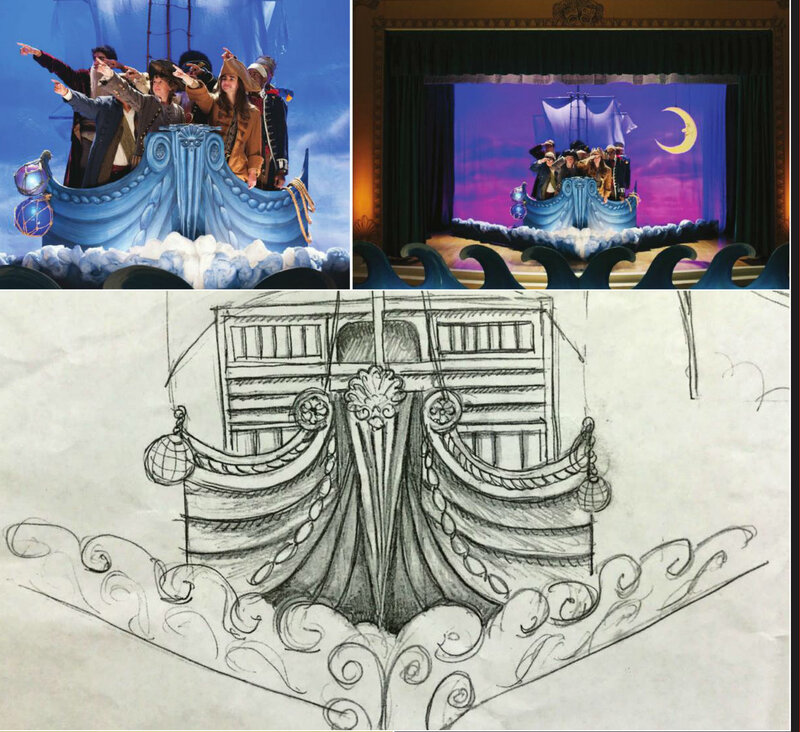 From the insanity of Ranger’s cheeseburger bed to the glorious jewel-tones and dramatic flourishes of a pirate play, our show owes so much of its inventive signature look to Kristan. 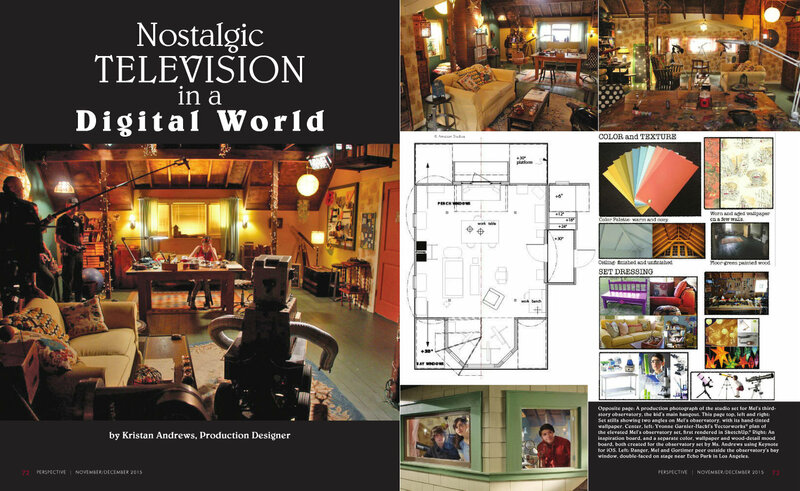 Please check out the in-depth article “Nostalgic Television in a Digital World” in the November-December 2015 issue of the Art Directors Guild magazine Perspective, all about Kristan’s approach to designing our show. Sloane MorganSiegelwas the real lead in this fantastic series!He deserves the award! I’m not sure to what you are referring. This is a post about our production designer and her article in her guild’s magazine. Was someone suggesting Sloane was not deserving of some award or not an important part of the show? I don’t follow. Sloane is a fine actor. Kristan is the person who brings the environment alive for the script to occur. Kristan is able to create a timeless environment for the entire family to enjoy. She is able to envision text into a living image, and that is a true talent. I’ve been searching in vain for the great cat/fish wallpaper from ranger’s old room – can you help a girl out? Happy to! 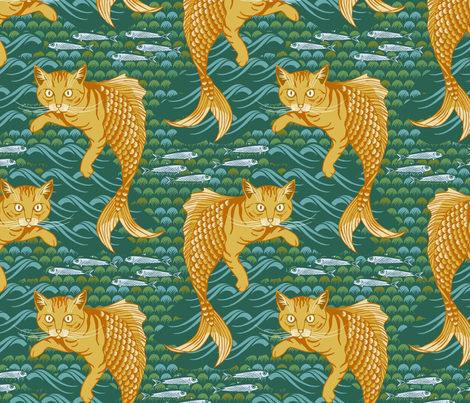 The pattern is called “Fishy Felines” and is available from spoonflower.com. I just came across this thread. Tearing up in my American Girl office over your sweet words. Gortimer will forever be among the shows I am most proud. I wish we could go back to visit Normal Street. Kristan! I can’t believe I didn’t share this post with you! I’m glad you saw it. You’re the best. Normal Street is nothing without you. My 11 year old daughter and I just discovered Gortimer, and we absolutely love it… the actors, stories, costumes!- and at LEAST once per episode, we gasp in delight over the magical environment in which the stories take place. I’ve been hunting and hunting for the kitty-fish wallpaper since I saw it, btw- thrilled to have a link! Great article… Really excited to read about Kristan’s work. It means the world to have something truly lovely to watch together with my girl!